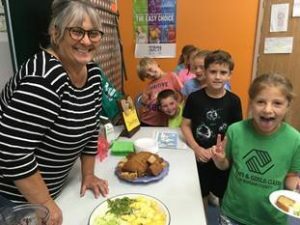 You are giving a fantastic Summer break to our Club kids! The Club is open Monday through Friday from 7:30 am until 6 pm and as many as 38 members are visiting daily! You make the Club experience possible for all kids. Thank you! Friends like you give in so many ways. Each way of giving makes positive impact in the lives of our kids and community. 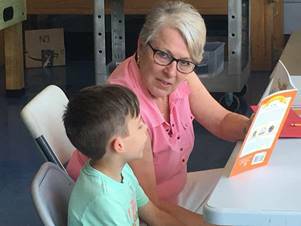 United Way volunteers visit the Club twice a week and lead the Summer ReadUp program which keeps kids building their reading skills. You cannot be thanked enough for empowering tomorrow’s leaders! 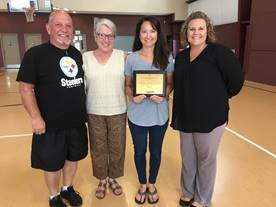 Morgan County Master Gardeners visit the Club weekly, for 4 straight years! !, teaching gardening, healthy eating habits, and teamwork. We are absolutely blessed by your friendship! 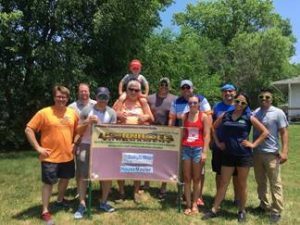 Berkshire Hathaway Indiana Realty, Bailey & Wood Financial Group, HouseMaster, and Quality Title Company created an outstanding Bag Toss Tournament for the Boys & Girls Club of Morgan County! Thank you for a very cool event on a very hot day to benefit our Mission! Well, Independence Day comes with fireworks and this news lights up our blue skies and will be heard for miles and miles. 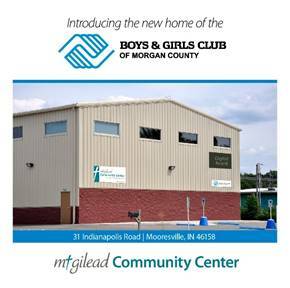 Mt Gilead Church has partnered with the Boys & Girls Club of Morgan County to provide us with an ideal new home! 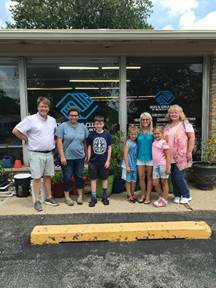 Beginning August 1st, our new location and address: The Mt Gilead Church Community Center, Home of the Boys & Girls Club of Morgan County, 31 Indianapolis Road, Mooresville, IN 46158. Thank you for coming alongside and sharing the vision of a community working together to empower and enable youth to reach their full potential and become the people whom they are intended to be. Friends from the Fraternal Order of Eagles Aerie 3988 visited for a Club tour and update. The F.O.E. is remarkable for their service and giving. Thank you Eagles for having our kids in your heart and for donating annually! You are our Champions! Congratulations to our board volunteers and our Great Futures Annual Campaign Volunteers! Our board has mapped out our strategic vision and is currently working with 21 local volunteers to raise $75,000 through our Great Futures Campaign. You are the hardest working board and volunteers in Morgan County! Your heart for kids is beautiful and your advocacy for tomorrow’s leaders is inspiring. Everyone can change the direction of a young person’s life through our Great Futures Annual Campaign. Reach out to the Club, 317-834-9744 and ask for Chris or visit www.bgcmorgan.org , to sponsor a Club member this year. Thank you for giving hope and opportunity for the kids who need us most through the Boys & Girls Club of Morgan County. Have fantastic U.S. Independence Day! PS. 10th Annual Boys & Girls Club of Morgan County Celebrity Golf Outing coming up on July 13th at Heartland Crossing! Thank you to our Celebrities, Sponsors, Golfers, and Volunteers!